Not only is Blake’s big sister Robyn singing her sibling’s praises, she admits the pair cutely squabble over the care of their various kids! Mum-of-three Robyn says her sister is a born mother and that she and Blake love spending time with each other’s kids. “This [motherhood] is where she belongs,” Robyn said. “She has my children and I have her children, [and] we’re like, ‘No, those are my children!’ She’s like, ‘No, your children are my children.’ We always argue about it. She’s the best,” Robyn told ET. Anyone who’s felt deep affection for their sibling or bestie’s kids will know exactly how this plays out! 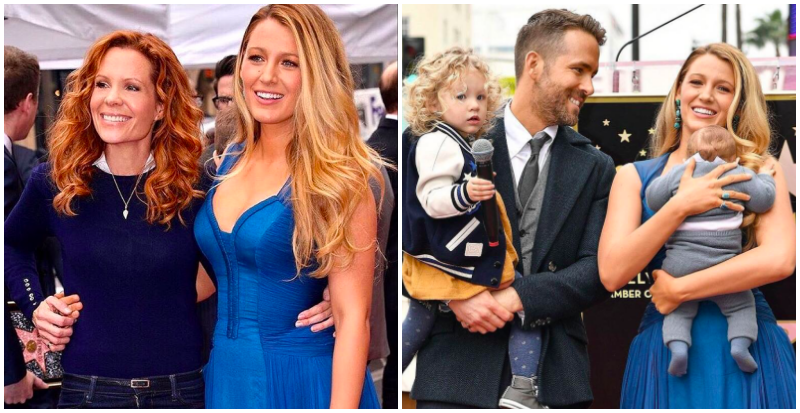 Blake Lively and Ryan Reynolds married in 2012 and are parents to 2-year-old daughter James and 4-month-old Ines. Robyn told ET she’d warned her younger sister that the days are long, but the years are short. Robyn says her brother-in-law Ryan Reynolds has adapted easily to parenting. The couple are apparently refreshingly down-to-earth when it comes to raising their kids. “He’s amazing too. They’re so great, and they protect their little family and they’re normal,” she revealed. In other Blake family fun facts, we did some digging on the Lively name. It turns out that Blake’s dad, Ernie Lively, married Elaine Lively (formerly Elaine McAlpin) in 1979 and took his new wife’s surname. Elaine already had 3 kids from her previous marriage – Lori, Robyn and Jason – so Ernie’s name matched his step-kids’ straight away. Nice one, Ernie! Ernie and Elaine Lively then had a baby boy together – Blake’s brother Eric – and then Blake was born in 1987, named for her grandmother’s brother, and taking on the Lively name too. That’s a lot of Livelys, right?! Phew! So now you know!